Unnis or Krishna (T 19) is a wild tigress in Ranthambhore who had her second litter towards the end of winters of 2014. I have been trying to keep up with this family and will keep trying till the cubs become independent. 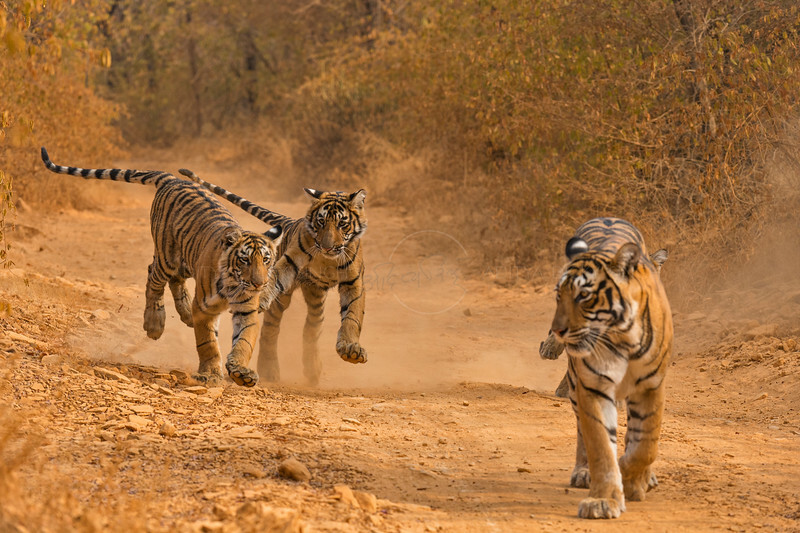 Wild Indian Tiger mother with her young and playful cubs, walking ahead towards the camera in a forest path during autumn in Ranthambore national park, while the cubs are running behind to catch up with her.